Are any Americans really ready to say “Give me liberty or give me death” anymore? Today Americans find themselves in a world where fewer and fewer people control the government, political parties don’t make much (if any) of a difference, spending is out of control, but it’s not bad enough for people to rise up and actually take action. 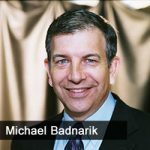 Jason Hartman talks to Michael Badnarik, former Libertarian Presidential candidate and author of Good to Be King and Secret to Sovereignty. The two discuss the constant erosion of our liberties and if there’s any chance we’re going to turn it around. [17:17] Why don’t we have runoff style elections? Is it too cumbersome? [23:42] What can we do about the situation we’re facing in the USA? [26:59] Will Americans still say “Give me liberty or give me death”? [30:04] Is “fake news” a red herring? Ultimate Survival: Artificial Libertarian Islands!